The V.U.I. is a simulated neural core for your player ship. It comes preinstalled on every ship (even modded ones) and allows you to install and run software programs. This new version adds some new graphics, a lot more software created by alterecco and myself. There's just too much to say here so check the VUIreadme.txt for a brief FAQ and install instructions, and post any questions/comments here or on the forum. 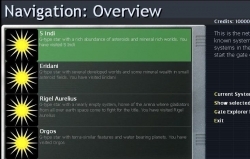 Periculi has given me permission to redistribute his Star Log mod, now included in the V.U.I. Definitely redownload this mod and ceck it out! The WE catalogues are broken. You have malformed XML and at least one missing entity. I can't see the names and functions of any of the new devices and when i try to use any kind of communications array or CPU i get VERY long error code :( (i would love to give it to you but it crosses the boarders of the screen) have u got any idea owhat is causing this or how to fix it? Check your debug.log (in the same folder as transcendence.exe), the whole message should be in there. It works ok for me, do you have dockscreen framework and hash functions? Hi Prophet, this mod is very cool! But I wish you would make the ROMs be devices without slot, I kept accidentally jettitioning them. That's a good idea. After the software is installed, it should be all said and done. The disc it comes on should be disposable at that point, and the software just there in the computer's storage. Also, a point my friend brought up, is that it would be nice when installing an identification library if it were "used automatically", identifying all of that certain type of item, without one having to "adjust parameters"
prophet, I tried too, and it seems that it doesn't work with 1.01. Ore Scanner didnt work with me either, btw Will this mod work with the G.O.D. Mod? 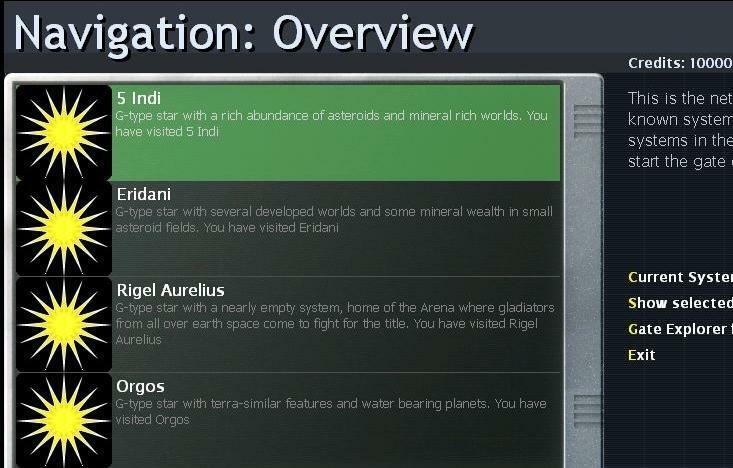 Any chance this could be updated to 1.05? I'm getting an error message 'image not found:d5126691'. I've Dled both dependant mods, I tried various ways, but somehow this also is security blocked (for me with lousy Vista security permissions :( ) and I have difficulty even deleting the mod!